Dr. D.K. 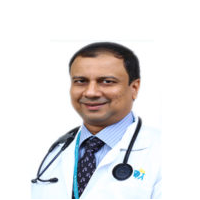 Sriram is a General Physician and Diabetologist at Apollo Hospitals in Greams Road, Chennai. He specializes in insulin and type 1 diabetes treatment. MRCS (UK), Federation of Royal College of Physician of the United Kingdom. MSc Diabetes, Madras University, Chennai.